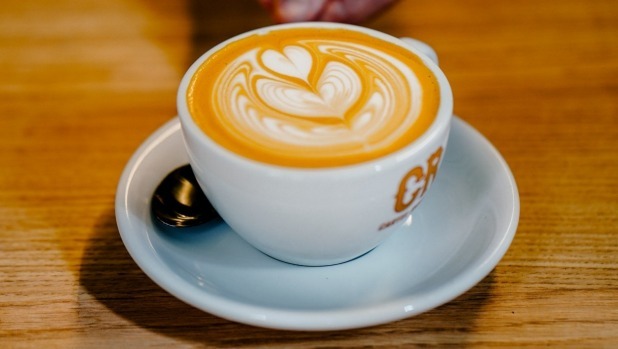 Geelong's Cartel Coffee Roasters isn't mucking around with its new Melbourne outpost, at Somerset Place, off Little Bourke Street. In pride of place is a BKON craft brewer. The algorithm-driven, trophy-sized machine uses reverse atmospheric infusion to vacuum-brew the perfect cup of tea or coffee in a fraction of the time it takes to boil a kettle. The other showstopper is a Kees van der Westen Slim Jim espresso machine. Designed and built in the Netherlands and chosen for its consistency and temperature stability, it's believed to be the first of its kind in Australia. It's obvious that coffee and tea are serious business here, and no expense or detail has been spared in ensuring the range of beans and leaves – sourced from various countries, including India, Ethiopia, Panama, Korea, Japan and Indonesia, as well as Australia – are treated, brewed and served in the best way possible. Nathan Johnston is the man behind Cartel Coffee Roasters, an operation he founded in Geelong in 2008. The Melbourne expansion – at the former Little Mule cafe site – builds on the company ethos, which is to "provide an approachable experience while letting the products and the producers speak for themselves," says Johnston. 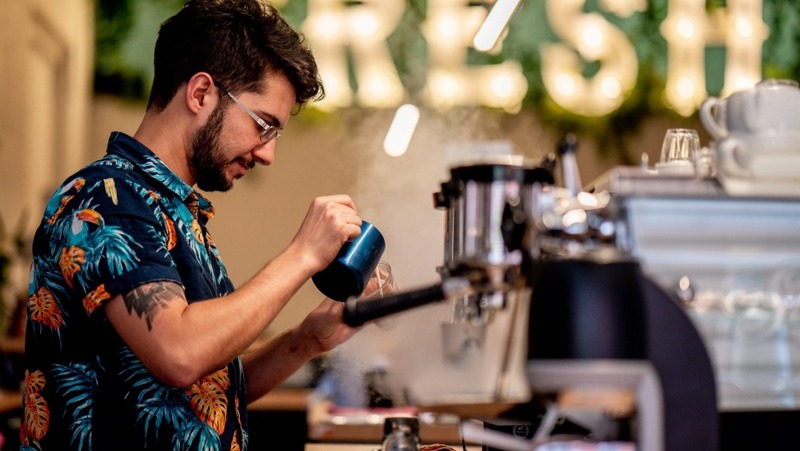 Showcasing the work of coffee and tea farmers, the brew bar will host regular tastings (known as cuppings) of coffee and tea with guest producers. Upstairs, the team will also run barista training and coffee origin masterclasses. The best seats are around the blond-wood bar, close to the brewing action. Otherwise, grab a spot at one of the communal tables up the back, or on one of the seats in the laneway out front. The food is simple – think jaffles, cakes and croissants – and there are sodas from Dr Strangelove. The liquor licence hasn't come in just yet, but when it does, the plan is to extend the hours and offer a range of minimal-intervention wines from producers such as Vinteloper, Pheasant's Tears and Les Petit Caillou alongside tea and coffee.